Tonight, I met two nice guests from Six Apart in Shanghai – Ginger Tulley, Six Apart’s director of worldwide strategy and analysis, and Nob Seki, Executive Vice President and CEO of Six Apart in Japan. 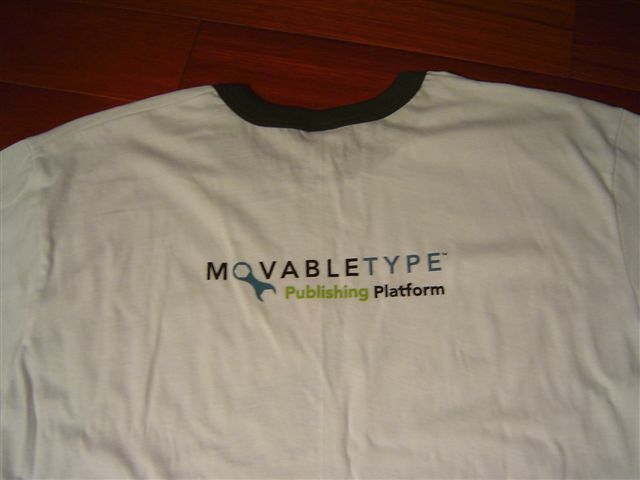 Thanks Ginger and Seki to send me a Movable Type T-shirt. Ginger asked: “We have T-Shirts with either Six Apart and MovableType. What would you like to have?” Although the actual answer will be both, I chosed the MovableType version, since I will be using MovableType for 3 years in 2 weeks, and my first blog entry ever is MovableType Successfully Installed on Windows XP (on Sept 11, 2002). 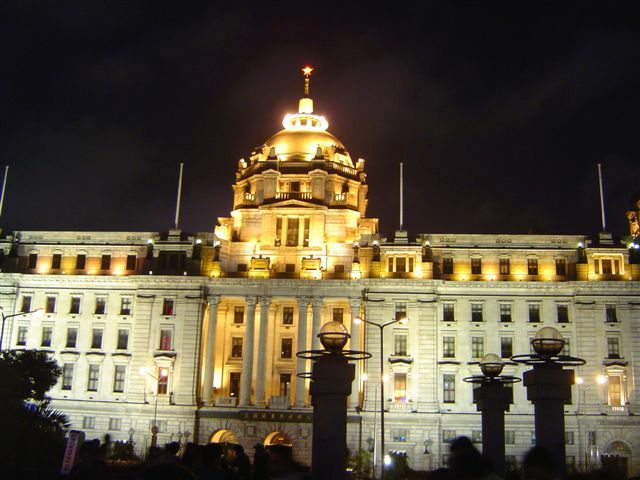 Seki seems to have uploaded some pictures he took at the Bund already. Here are some other pictures I took during the night. I haven’t been to Bund for quite some time. It is very beautiful after so many times of visiting. I am posting this on behalf of my friend in eBay. They have several opening in the Product Management team. If you are interested in any of the positions, please send your resume to sha-hire at ebay.com. eBay is seeking a manager to lead eBay’s User Experience & Design Team for China. This position requires a strategic thinker, an innovator, a visionary, and an effective advisor across various levels for the UED organization in China. He/she will lead the UED team to champion the user experience on the eBay platform; enable the team to become more effective in advocating ease of use through the sharing of UED goals and strategies. The UED manager is responsible for building and maintaining excellent relationships at the team, cross-division and executive levels. He/she understands the importance of user-driven metrics; works closely with the Global User Experience Research team to ensure successful adoption of the field studies program in China to deliver measurable results and translate data into better design solutions. This position will also work closely with Global Content Management to maintain a consistent editorial voice across eBay. They must understand the target segments and personas of users as well as the net profit value of the projects. They will be responsible for overseeing many simultaneous projects and strategies from inception to launch. The position will require reviewing designs and plans to ensure high quality and ensuring that the team applies user-centered design principles and site design guidelines. Along with cross-functional and executive teams, the UED manager will partner with internal clients to satisfy the needs of eBay Community in ways that add measurable value to the business. The UED manager will participate in key stakeholders’ quarterly team meetings to insert UED expertise at the beginning of the planning phase: identify strategies, conduct concept brainstorming and discuss industry UED trends. Ensure that UED is delivering interface designs and creative, marketing deliverables that meet or set industry standards for excellence as well as broader global corporate objectives. They drive improvements that make eBay’s processes more efficient and effective. The successful UED Manager is an effective negotiator, interfacing with all levels of management to build consensus and reach appropriate resolutions in many varied situations without damaging internal or external relationships. The UED Manager is responsible for building the strength of the UED organization in China. They lead a local team as well as multiple outside agencies. He/She will manage team members’ capabilities and career development. They will coach the team to work effectively toward a common goal and empower strategic contribution to reflect growing business needs. The UED Manager is also responsible for overall team operations. This includes: Managing the day-to-day operations of your group and their workload; setting priorities for projects, strategies and other initiatives; assigning and balancing resources across projects; tracking and ensuring goals are achieved; mentorship through critiques and weekly 1-on-1 meetings; writing quarterly evaluations for direct reports and giving peer input; recruiting design, content and research talent including: interviewing and evaluating prospective hires along with utilization reports, capacity modeling and reporting responsibilities. The UED manager will work closely with the China based Product and US-based UED leaderships to develop strategic operations plans and manage quarterly budgets for their team. They collaborate with UED leads to ensure strategies and plans are in synch and the user experience is cohesive. They will work closely with the UED team in the U.S. to define and champion the User Experience guidelines and frameworks that will apply not only to China but also globally. In addition, the role requires coordinating product execution with US-based UED Directors (UI, UER, Creative, Content), Product Management, Product Development, and Global Product Planning (GPP). Must read, write and speak fluent Chinese Mandarin and English to communicate effectively. 8+ years web design experience with 3+ years leading and/or managing a User Experience group (researchers, usability testers, content writers, interaction designers, creative designers). Proven ability to lead completely-thorough knowledge of steps required to give timely and helpful coaching to improve group excellence. Strong project management and time management capabilities are critical. Must have a full understanding of industry practices as well as how to resolve complex issues in effective ways. Exercises judgment in selecting methods, techniques and evaluation criteria for obtaining results. The successful candidate for this position has an established multi-disciplinary, user-centered design background with deep experience leading cross-functional, web design teams. They will have strong understanding of presentation layer technology, software and user research, and understand how each impacts the Web design process. They will be an expert in applications for User Interface Design. This includes, but is not limited to: HTML, Flash, Adobe Photoshop, Illustrator, Image Ready and Macromedia Fireworks. Candidate must work well in a fast-paced team environment; have excellent communication skills and exhibit professionalism in all aspects of their daily tasks. The candidate must have an excellent understanding of user experience design for the Web, demonstrable design skills, and the ability to show relevant work. They must have experience launching products for consumer web sites, preferably within the domain of eCommerce. They should have a proven ability to help designers create better designs and become better designers. Also required is a proven ability to negotiate, come to resolution, and be a strong advocate for user and business goals. Must have experience conducting or at least managing and using user experience research in the design process, as well as a good understanding of market research. Should know different research methodologies such as ethnographic field studies, usability studies, surveys, data mining analysis, and usability inspection methods, and most importantly when they are used. Should be comfortable presenting research insights and data-driven designs, and builds consensus and resolves conflicts through the appropriate use of research in the product development process. Excellent knowledge of eBay.com and intimate knowledge of the eBay user experience in Asia is a plus. Understanding of China (and preferably the Asia region) market industry, eCommerce competitive situation, and overall landscape for internet based business. Ability to set a vision for the future along with strong concept, planning and delivery skills. The successful candidate will thrive in a fast-paced, interdisciplinary team environment where rapid iteration is part of the team process. The candidate must exhibit strong communication skills (both oral and written) to enable him/her to lead the UED team and present concepts. Must have knowledge of the eBay user experience and the role UED can play in driving eBay’s overall success. Also must actively seek and understand the eBay business model, along with its competitors, plus how UED solutions enable eBay and the eBay community to reach business goals and objectives. The UED Manager will take a strategic, data-driven approach to user research, content creation, and design through seeking, interpreting and utilizing data to create a stronger and more beneficial solution for eBay users. Work with the user community and business to understand needs and opportunities. Ensure that UED business proposals are approved and have a significant, short and long-term positive impact on the community and the business. eBay is seeking a Lead Creative Designer to supervise creative designers in the delivery of quality onsite designs that both support a successful user experience and exceed eBay’s business goals. The ideal candidate will enjoy working in a highly collaborative, fast-paced environment. The successful candidate will be also be responsible for contributing to creative strategies that deliver process and infrastructure improvements. Applicants must have substantial experience leading creative project teams in the designing of complex web sites and delivering online marketing campaigns. Strong eCommerce experience with a background in print and typography preferred. This position is based in San Jose and reports to the Creative Manager responsible for creative merchandising and marketing for both Buying and Selling areas of the site. This supervisory position provides design direction for designers working on product development and onsite marketing campaigns including (but not limited to) home page graphics, promotion pages, internet marketing, email marketing, landing pages, mock-ups for static page designs, category pages, pop-ups, banners and delivery of segmentation-driven graphic designs. The successful candidate will be responsible for executing assigned projects with deliverables developed on a compressed schedule that might exhibit rapid changes in direction. They must be able to diagnose customer needs, complete creative briefs; and communicate schedules and project plans to internal clients. They produce professional concepts; apply company design policies and procedures to resolve a wide variety of design challenges. A Lead Creative Designer is a skilled presenter and manages relationships with internal clients on a variety of creative design issues that support both the business and a strong user experience. A Lead Designer manages the success of Creative Design in cross-functional teams that include UI designers, Product Managers, Business Unit representatives along with web development teams. They ensure best practices for realization of designs and proper delivery of assets. A Lead Creative Designer acts as both a leader of design quality and efficiency. They constantly evaluate both the quality of the work and the efficiency of how the work is being delivered. They lead teams in the strategizing and delivering innovative new creative design policies and practices including participating in creation and implementation of worldwide style standards, color strategies, visual expressions of the eBay brand, creative design research, metrics for tracking and reporting the success of creative design on eBay. They must have a deep knowledge of design trends related to eCommerce and retail on the web. Minimum 8+ years designing for eCommerce in an ad agency, marketing communications firm. 2+ years design directing at an in-house web design department, agency or design studio. Online portfolio is required. Bachelor of Arts or Bachelor of Fine Arts in Graphic Design from a 4-year University or art school (or equivalent experience). Candidate must have a thorough knowledge of computers and the Internet-including both PC and Macintosh platforms. Must be well versed in all applications for the creation of graphic design for internet sites and the requirements technology places upon design is critical. This includes, but is not limited to: Adobe PhotoShop, Adobe Illustrator, Quark Express, ImageReady, Flash and Macromedia Fireworks. Candidate must work well in a fast-paced team environment, and have strong communication skills. Candidates must have experience working successfully leading Creative Design within interdisciplinary project teams and collaborating with business units, user experience designers and researchers. Must be organized, have excellent time management skills and be detail oriented. Must be able to manage their own time in an efficient manner without supervision to meet deadlines, incorporate meetings and follow-ups and maintain design excellence. Candidates with experience working in an advertising agency or corporate creative design team are preferred. Candidate should exhibit a strong understanding of the eBay’s business model and how creative solutions contribute to eBay’s success. eBay seeks a Senior User Experience Researcher to join eBay’s User Experience & Design team. o Responsible for planning and conducting user research, including methods such as: ethnographic field studies, usability studies, benchmark studies, competitive evaluations, participatory design sessions, user surveys, heuristic evaluations, and similar approaches. o Provide insight and vision to the team based on researching user needs. Convert research findings into actionable results. o Work closely with interaction designers, visual designers, product managers, marketing, engineers, and other user experience researchers to define and improve the user experience for the eBay website. o Synthesize research findings from other data sources (including market research and data mining) into meaningful recommendations and actionable items. o Understand the business needs, while researching the needs of the user, in order to create solutions and opportunities for the business unit. o Effectively interface with executives (including VPs, Directors, and Design Managers). o Must read, write and speak fluent Chinese Mandarin and English to communicate effectively. o 3 – 5 years of professional experience in the industry. o Masters or higher degree in Human-Computer Interaction or related field. o Excellent understanding of user experience research and usability for the Web. Prefer experience with products for consumer web sites. o Excellent interpersonal skills and presentation skills, including the ability to communicate effectively in small and large groups, to all levels of the organization, as well as outside of the organization. o Proven ability to work and coordinate with multiple groups, including business owners, product managers, creative designers, usability engineers, software developers, and senior executives. eBay seeks a Senior UI Designer with a successful track record of design leadership experience. This is a great opportunity for an experienced Senior UI Designer to join eBay’s User Experience & Design team. o Create world-class designs that benefit eBay’s 135 million users. o Defining long-term user experience strategies. o Presenting new product ideas and strategies to the exec staff. o Leading the design team to explore design options. o Setting the design direction for major parts of the eBay user experience. o Writing product specifications (IA, work flow, page functionality and layout, etc.). o Working with Product Management to evaluate product success and next steps. o Mentoring and guiding more junior designers. o Identifying and leading process improvements that make the design group more efficient and effective. o Contributing to a culture of innovation and teamwork. o Representing eBay in the broader design community through conferences talks, papers, networking, etc. o At least 5 years of professional design experience. o Bachelor’s or higher degree in Human-Computer Interaction, Cognitive Science, or related field. o Excellent understanding of user experience design for the Web, demonstrable design skills, and ability to show relevant work. Experience launching products for consumer web sites. o Mentoring, leading and coaching more junior designers. The Product Metrics Analyst position will contribute to the design and development of metrics and reports that measure the effectiveness of new and current features implemented on eBay’s website. Will work as part of a team to assist in report design and implementation. Must be able to work independently in tasks such as maintaining existing reports, working jointly with other team members to understand report requirements, propose possible data warehouse enhancements and help in overall reporting process improvement. Understand the eBay site and its functionality. Test and validate the accuracy of reports. Develop appropriate distribution and viewing mechanisms for reports. Maintain and improve existing reports. Keep management informed of progress. Research and propose tools and process changes to improve methods of doing business. Position will report to the China Director of Product Management and to the Sr. Manager of Product Metrics in San Jose. o BS/BA Computer Scienece or Science with a strong background in computers. o 2-4 years experience in report development. o Experience with web site reporting concepts – page views, click through, etc. o Experience with report development using an eCommerce data warehouse. o Programming experience using Visual Basic, VBA, Perl, Cold Fusion or Java. o Experience with linking MS Excel with various data sources. ODBC experience is a plus. o Working experience with relational databases and data warehouse concepts. o Knowledge of basic statistical concepts such as correlation, regression, and confidence intervals. o Experience with analyzing and presenting data in Excel – charting, Pivot Tables, advanced formulas. o Experience with any of the following is preferred: Business Objects, ColdFusion, Microstrategy and Teradata. Within Product Management team, your mission is that of guaranteeing high quality performance of our website. In this mission you’ll report into a China based Product Manager and into a QA supervisor located in the US. You will work closely with other Product Managers, the content and linguist Managers as well as with the product development team in our corporate offices in San José, California, US. o Methodical, detail oriented approach. o Excellent oral and written communication skills. o Fluency in written and oral English. o Autonomy and results oriented approach. o Ability to rapidly integrate local and International team required. Being currently a user of eBay will be considered as a plus. Reporting into the Sr. Director of Product Management, this position is responsible for organizing and managing initiatives involving cross-functional teams challenged with supporting a highly visible internet site experiencing a high rate of growth. The Sr. Project Manager will work closely with the Business Unit, Marketing, Product Management, User Experience & Design, and Resource Management groups to organize prioritization of roadmap initiatives, facilitate discussions to ensure project priorities are meeting business strategies, track progress and issues of multiple initiatives, interact with management, peers and team members to resolve open, critical issues, and drive process improvements initiatives cross organizationally. Job responsibilities will include, but are not limited to: organizing and facilitating meetings with cross functional teams; managing and driving resolution of issues; communicating status, issues and risks to management team; and tracking overall status of product roadmap initiatives. This position will work closely with all levels of management within the organization. o Strong communications skills and the ability to work well with other departments and varying levels of management. o Ability to function effectively in a fast paced environment and manage multiple projects simultaneously. o Partner with product managers working on other global eBay sites, particularly eBay.com, to leverage their work into the China site. Also make sure that China-specific development is leveraged to other countries. o Strong technical understanding of Internet technologies and the operations of a commercial Web site and web-based communities. o Strong analysis and financial planning skills. Prior P&L management a plus. Note: For most efficient routing of your resume, please do NOT send it to me. Use the email address listed at the begining of this page please. What Happened 365 Days Ago? The small detail I noticed is, it rained dogs and cats 365 days ago. Visit Shanghai? 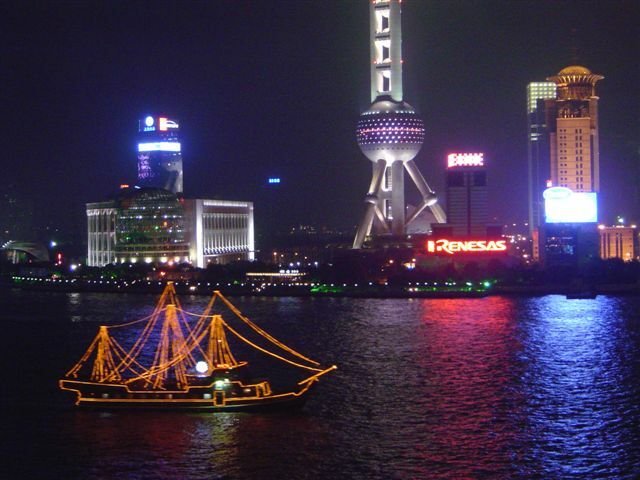 Want to see the most “Chinese” side of Shanghai? I suggest our dearest visitors to go to the Yu Garden. This is the Top 356 Blog? Kenlee‘s blog reported that Feedster announced the TOP 500 Blogs. It is updated every month. I couldn’t not check it because the domain http://top500.feedster.com/ was blocked by the Great Firewall. I believe one or more URL in the list must triggered the filter, so when I try to access it, my Internet connection is completely closed. So I can only have the chance to try twice in the last 10 minutes (5 minute OUT OF Internet punishment for every try). Well. I may find ways tomorrow to see it. Just get back from a business trip. Sorry that I was not able to catch up the blog and didn’t find a chance to post an OOB – it is among the longest break in blogging recently. When I am on the bus back from Hangzhou to Shanghai, I finally find several minutes to use my Dopod 515 to check out the comments on my site and noticed annick and Angela were pretty upset about my comment to Typhoon: “But it’s first time that I learnt that somebody quote Typhoon as pleasant experience.” and “It is really disappointed to know you enjoy the Typhoon so much”. I also noticed a lot of my frequent reader made comments after it. I can understand Annick and Angela’s upset. Typhoon is typically very bad thing. But meanwhile, several books, including the Art of Travel, taught me how importantly to see the world in different views – switching between point of views makes people happier. Sometimes, lack of local information blocks understanding and cause misunderstanding. Many things have many different aspects. When we read about Typhoon, we only read about the area hit by typhoon. So the general image for typhoon is bad, very bad – killing people and destroy houses. But Shanghai is in a lucky position that every time typhoon hits, it will only pass Shanghai on the sea instead of landing on Shanghai. Since there will be several typhoon every summer, we will see typhoon as part of the summer season, just like the two continuous raining months. When I first arrived in Shanghai in 1995, people told me typhoon is coming. I was so frightened, and soon got very confused that many people are so happy about it. I asked why and people explained the story 10 years ago to me, a new comer: Typhoon mainly brings cold air without causing too much trouble every year. When people feel too hot, and when Typhoon alarm comes, they know it will cooler soon. Life is fill of happiness and sadness. Our attitude toward it does not prevent Typhoon from coming but greatly affects how happy we are. When Typhoon hit Zhejiang province, it caused a lot of trouble, but people their just take it as the routine – every year, just like people use Air conditioning to fight against summer and heater for winter, they have their own way to protect their home. Typhoon also went the long way to Beijing, which is 1400 km north, and it only turned out to be small rain. The same typhoon is not the same for lives in different cities. It means different even in people in the same city. Just like someone pointed my nose and say: Hey, why not distroy your car? I ask why? They say: It killed millions of people world wide already. I said: But it is not THIS car. The typhoon in this city that I described is not the typhoon which killed people. As part of the mission of this blog, I just want to describe honestly about my life, and small things around me. 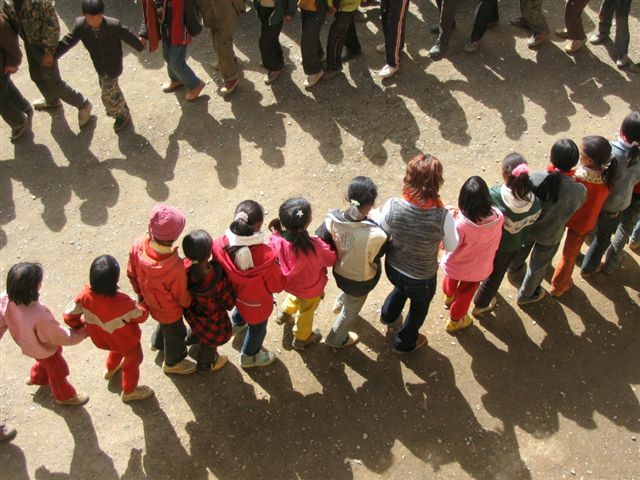 The smallest part matters most for future visitors and people who are thinking about relocation to Shanghai. Most of the things I am even not aware of. Just like I completely forget the surprise I experienced 10 years ago when I first hear someone say they love typhoon, I didn’t expect this sentence will cause argument. But this is the most interesting thing. When people talk about something, they tend to image it in the way they are used to, and from an angle from where they stand. However, the real situation may be different people who live with it. For example, people in America get upset about a lot of things they heard about China, for example, the one child policy, thinking “OMG. 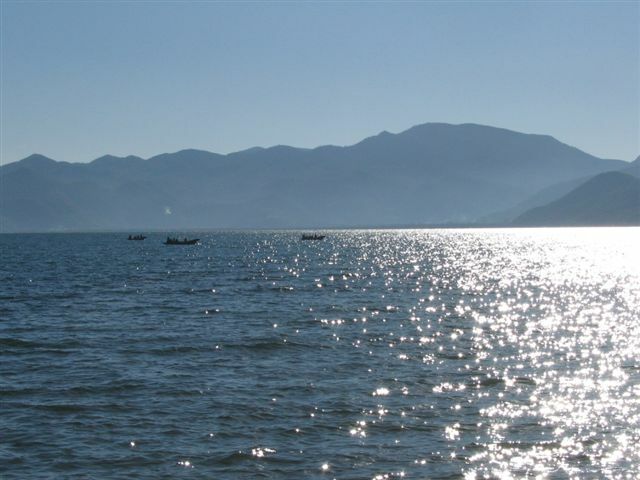 How can it be possible?” Actually, the real fact is different. Only by living on this land for some time and also taking history into account can we make a better judgement. That is a strong reason that keeps me writing for this blog – smallest thing like attitude toward typhoon can help a lot for cross-country understanding. Understanding is the most critical to world peace, as I always believe in. P.S. Carroll, so nice to hear from you again. I want to add additional thank you for hosting me in SFO when I visited. I always think I should put it again somewhere on my blog again since it was so nice experience for me. 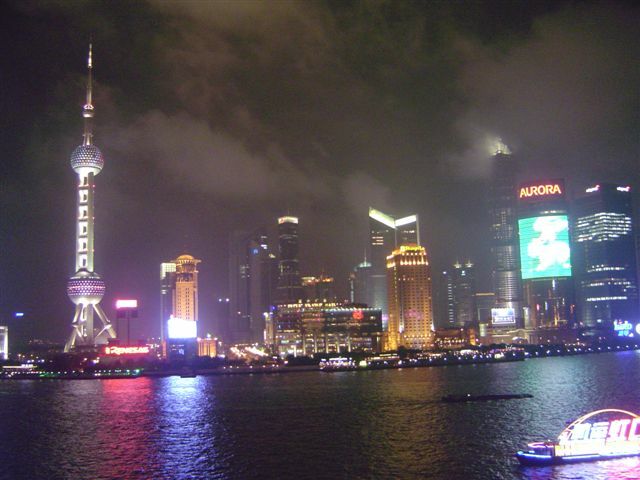 From Friday night till tonight, Shanghai is experiencing Typhoon. For me, it is a pleasant experience – the wind goes up and it rains heavily these two days. I was not able to go out yesterday and today, when I checked out Goudaner, it is completely a new car – the rain washed the car completely – I have never seen a car washer that clean it so completely. Shanghai is lucky. Every time Typhoon comes, it majorly brings fresh air, cools down the hot weather. There are some smaller accidents caused by the Typhoon in the city, but it is still much better than cities in Zhejiang. All flights were delayed by differenet degrees. 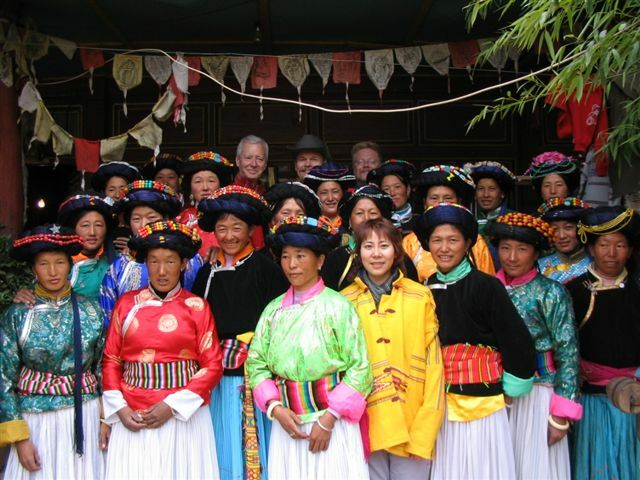 Wendy is back from Lijiang today. I drove to Hongqiao airport to pick her up. Her flight was delayed only by 40 minutes, while most other flights were delayed without a determined time. However, the last minute, it was announced Wendy’s flight arrived in Pudong Airport – the other airport. So I get back home with an empty car. Talked with a nice taxi driver again today. Recently, it seems the only window I have interaction with this city is taxi driver. :-) Wendy drive me to Metro and I take ride of the Metro to People’s Square – I saw a lot of people – really a LOT in rush hours, but there is no interaction. Everyone is busy with their own goal, and there is only a destination in their mind, all the advertisement, people around them are just moving object (maybe gray boxes) for them, and does not mean anything to them. It is the same for people around them. The Metro runs at 3 minutes interval. Within the 3 minutes, the platform will be full of people quickly. Daily life in Shanghai gives people pressure – you can feel it in the eyes of the people in Metro and the fast pace of people. When I was in Lijiang, I remember when the bus we took entered a gas station, the bus driver went away from the bus and chatted with the other bus driver for quite some time – since the bus was filled anyway, and no one complained about their absence from the bus – they just cannot make any impact when the bus was parked there, with workers filled in the gas. I thought the scene is very interesting because if the driver stopped in the middle way on our road, we can not imagine our driver get off the bus and chat – because when he is driving, the time we need to get to the destination all depends on how fast the driver drivers. Whether he seats in the bus or not makes big difference. So the driver has the pressure. This example shows that when the bus was filled with gas, the driver cannot make much impact, he does not feel the pressure. When what he does makes big impact, especially impacting the full bus of people, he feels the pressure and don’t have time for free chat. In Shanghai as a city, it also works. When I visited a place (during my trip of the 30N 119E confluence project), I found a small town. People there lead very peaceful life. The are connected to the outside world only by two buses – one leaves around 11:00 AM and one around 1:00 PM. When they wait for bus, they can easily wait there for about one hour, having nothing to do. When they realize no matter how fast their paces are, there are still only two schedule of the bus, so their change does not make impact, and they don’t feel the pressure. In Shanghai, it is different. If you walk a little bit faster, may be just save 3 seconds, you may be able to catch a previous Metro train. If you save one second, you may be able to reach out to the button of the elevator before the door fully closes. Most largely, if I sleep half an hour later, maybe I can impact a lot of users national wide, then I may choose to sleep another half an hour later. The feeling that if I do something, and I can make impact, people tend to do that. By continuously doing that, we creat pressure for ourselves. Sometimes to read book in a hotel room, especially when there is no laptop is the best time for me – at this time, there is not too much to do, and the pressure, just disappears. It works like a charm. P.S http://bbs.wangjianshuo.com seems to be experiencing problems – well, to be more exactly, was hacked. I wasn’t be able to take care of the site for quite some time, and sorry for the inconvinience. I may try to roll back to a previous version (by paying ipowerweb.com), but I don’t know when I can find time to do it – may be after one week. For the Wiki, there are also a lot of spams. //Sign. To start something is easy, to maintain it is not. How about just let it be for sometime and I promise to find some time to fix it. Besides that, here is more general guidelines. Take it as strategy while others as tactics. You should plan 2 days in Hangzhou – at least one night is Hangzhou if it is not a business trip. Don’t worry about rain. When it rains, the West Lake looks better. It looks like great even in a storm (like last Saturday night). Staying in a hotel near the West Lake is important. Shangri-la is a good choice, but it is just too expensive – around 1000 RMB, which is about double the price of many other hotels. On average, hotel expense in Hangzhou is higher than other cities – even comparable with Shanghai. Drive there is a good option. Rent a car in Hangzhou may be better – it is just great to drive in the city than walk.